With this private arrival transfer from the Denpasar International Airport to your Bali accommodation, you’ll enjoy a hassle-free start to your vacation. When you leave the baggage claim area at the Bali airport, you’ll be met by a representative holding a sign with your name. 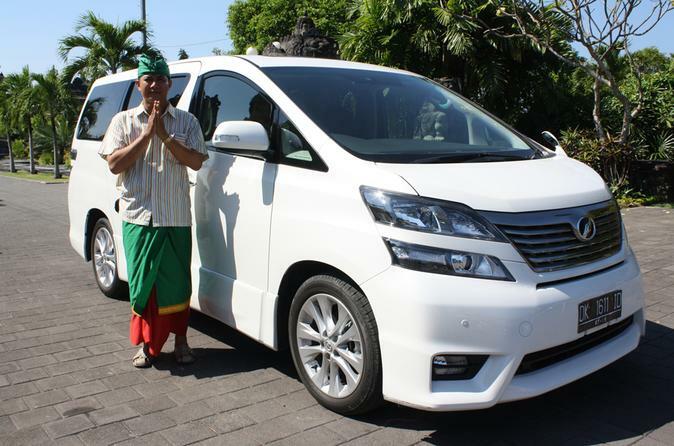 Your professional driver will then assist you with your luggage and lead to you to your private vehicle, where you can settle into your seat and relax as you’re taken straight to your hotel, resort or villa in Kuta, Legian, Seminyak, Nusa Dua, Sanur, Ubud, Candidasa, Uluwatu or Canggu. When making a booking for this private arrival transfer from the Bali airport to your hotel, you will need to advise your flight details and your hotel details. Your transfer will be confirmed at the time of booking, and you will be provided with a travel voucher to present to the driver. It's that easy!